I was just there. 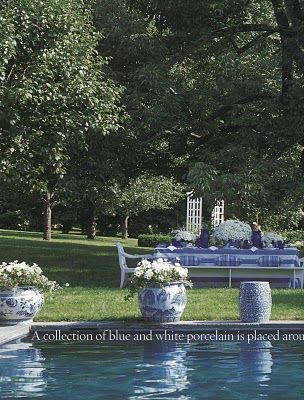 Only she had all her blue and white porcelains on or near the porch at the time. Also just there for the Trade Secrets Tour. Everything was incredibly beautiful. An amazing Saturday sale and Sunday tour. Can't wait to go again next year.